All classes will be held at the Poway location, the address can be found in the confirmation email. Click on SignUpGenius.com and choose your preferred time (between 7:30am and 11:30 am) and the clinic date. For payment, please fill out the PayPal form below or Venmo Lynne-Moore-16 $75 for each dog attending the clinic. 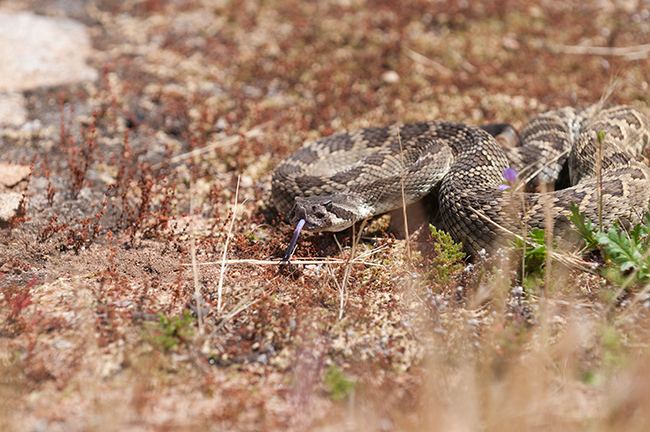 Whether hiking, camping, or sitting in the backyard, you can encounter rattlesnakes. If you live in San Diego County, this training can be priceless. Proven techniques teach your dog to avoid rattlesnakes and warn you of their presence. Rattlesnake bites are a real danger to dogs living in Southern California. 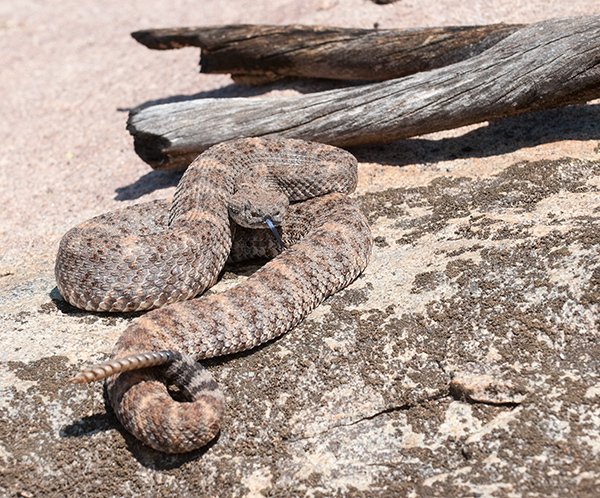 As warmer weather approaches, rattlesnakes come out of their dens and become active in our environment. They can be in our backyards as well in parks and along trails. 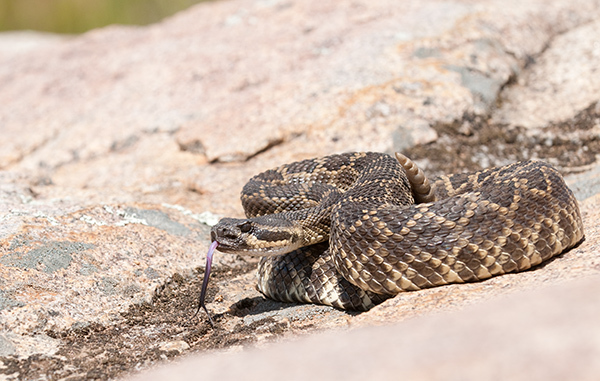 The risk of death and the cost of treatment are two significant reasons to participate in Good Dog Training School’s Rattlesnake Avoidance Clinic. 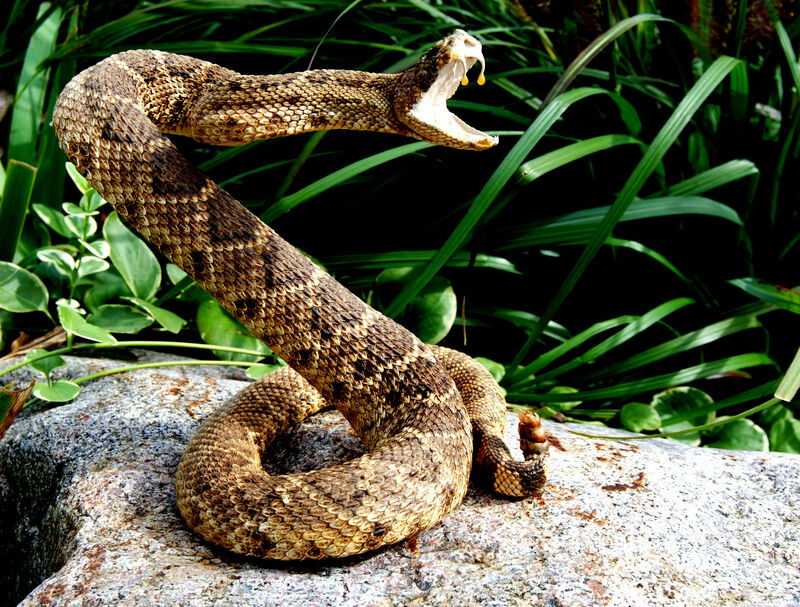 Many dogs do not survive rattlesnake bites, especially when bitten in the face, which is usually what happens because dogs lead with their noses when exploring their surroundings. 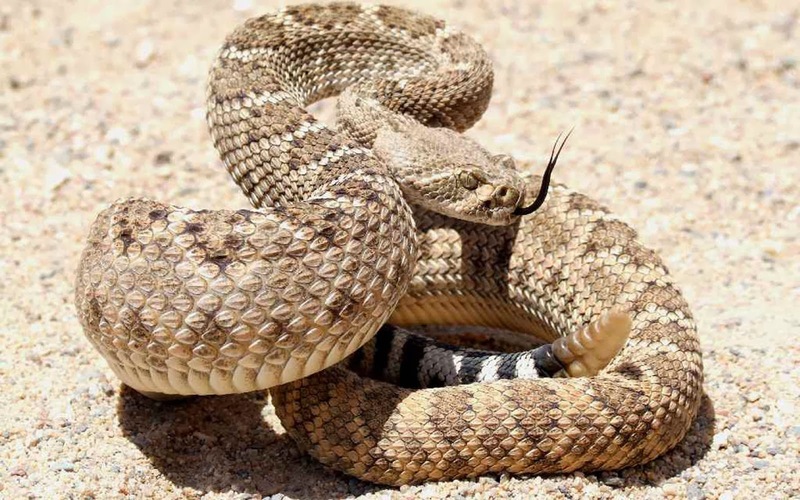 Dogs don't learn to avoid rattlesnakes after they are bitten. Consequently, dogs can be bitten more than once. 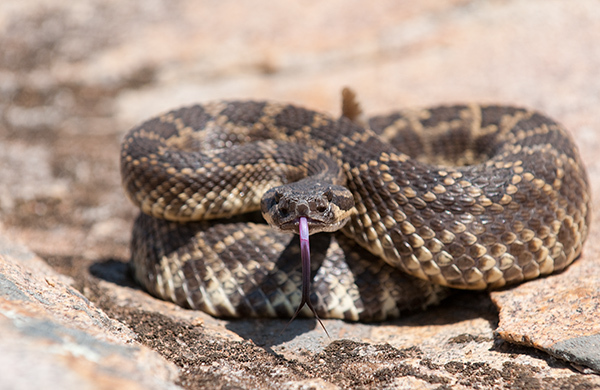 Because the pain and discomfort caused by a rattlesnake bite can take up to 30 minutes to develop, dogs don't associate them with the bite. 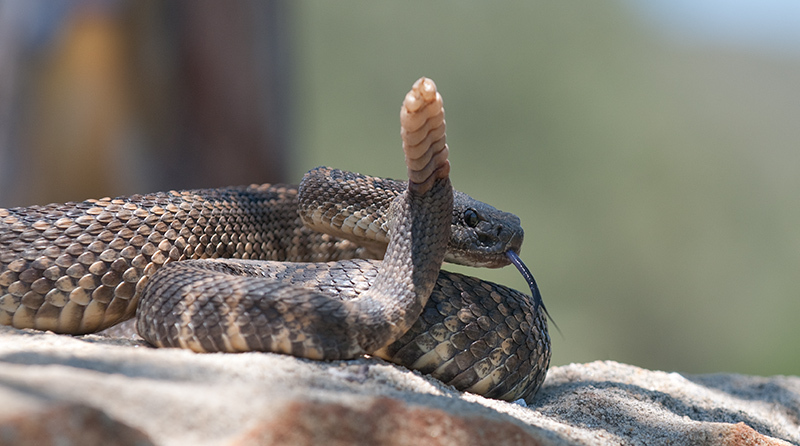 The method used by Good Dog Training School to teach dogs to avoid rattlesnakes incorporates immediate feedback when the dog encounters the snake. If your dog has already been to a Rattlesnake Avoidance Clinic, Good Dog Training School recommends a recheck or refresher clinic annually. They have found that some dogs retain the aversion to rattlesnakes for several years while other dogs don't. "Our Rottie already proved the school was worth it. She wouldn't pass a campsite while walking on the road at Mission Trails. We told the camper and the Ranger about Snake School. The next day he presented us with a three foot Pacific Rattler. Thanks again." "Lynne, I want to thank you for the service you offer to dog lovers. It is an important training exercise that all owners should consider. Your training was straight to the point, started on time, and was informative. I don't think Buddy the Labrador will go near snakes." "My dogs had been snake broke by Good Dog Training School and I got to see them run into a large snake on the trail about one year after. The lab tried to jump in my back pocket and the terrier mix, got between me and the snake, looked at the snake, looked at me, looked at the snake, looked at me but did not approach. For the next couple of weeks those two dogs would bark at me as I passed that spot on the trail, while they took a big loop around it. Very effective and great comfort for me to know that my dogs aren't likely to be bitten." "Let me tell you what happened just the other day. Banzai and her best friend, Tika, were in the back yard. Suddenly Banzai let out a panicked yelp, ran inside and onto my lap, and was shaking like an aspen. Tika stood on the deck barking. We went outside in time to hear an ominous rattle. We then watched as the rattle snake slithered away. Banzai certainly remembered her training. I thank you so much for that, because both dogs stayed away instead of trying to investigate. This training is a life saver. " "Lynne, thanks again for the dog training. Both Finn and Jane (the husky and the part golden) did pretty well in recognizing snakes. I took them out for a hike afterwards and although we did not see any snakes, they seemed more alert than usual to animals in the bushes." © 2009 - 2016 Good Dog Training School, All Rights Reserved.